Even the best designed and carefully crafted email marketing message won’t help you if it doesn’t get opened and generate click-throughs to your website or product page. Here are some suggestions for improving the open rates and click-throughs for your next email campaign. Segment your mailing list: Divide your mailing list into segments based on subject matter or customer characteristics. Put your efforts into contacting leads and customers who are genuinely interested in your products and services. Focus on quality customers: Quantity is not key when it comes to effective email marketing. Keep your focus on quality leads and customers acquired through opt-in sources or subscriptions. Clean and update your list: Scrub your mailing list and customer database of outdated and invalid email addresses. Identify contacts who haven’t responded to your emails and remove them from the list. Use creative subject lines: Creative, clever and outrageous subject lines can lead to better open rates and click-throughs. For example, instead of using a subject line reading “10 Percent Off Sale,” use a variant such as “Save a Dime for Every Dollar.” Avoid all-caps, exclamation points or words that could trigger spam filters. Be concise: Get to the point. Customers with little time to waste want to know your message quickly. Write it right: A poorly spelled email message with terrible grammar won’t inspire your customers. If you don’t care about the messages you send, they may conclude you don’t care about your product, your business or them. If necessary, hire professional writers and editors to create your email messages. Use good timing: Time the mailing of your message to the needs of your customers. 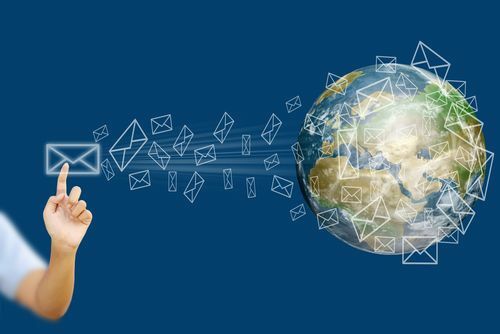 Most email is opened during the day in the afternoon hours, but a message aimed at residential customers may be more effective if sent during the evening or after-work periods. Offer genuine value: Your customers and leads will appreciate getting something out of your emails other than sales messages. Offer useful, personalized information, informative white papers, links to other sources of interest or other valuable content. How much could your business be improved by increasing your email marketing open rates and click-throughs?